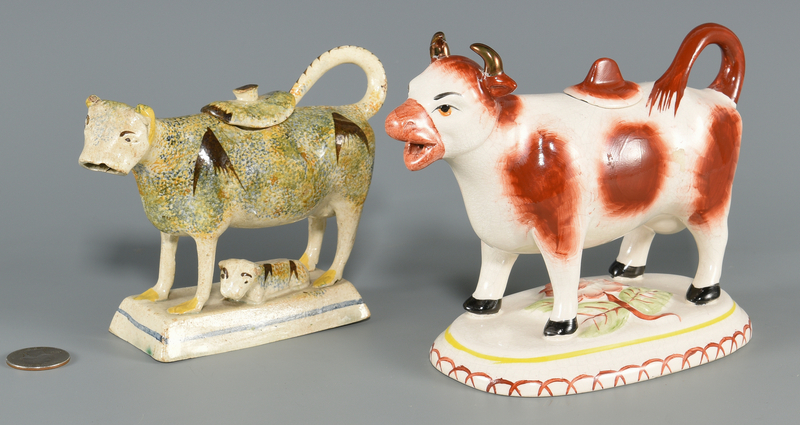 1st item: An 18th century English Staffordshire Pearlware pottery creamer, modeled as a cow, standing above a recumbent calf, decorated with blue, green, yellow and brown sponge decoration, on a canted rectangular plinth base. Upturned striped tail forms the handle. Fitted lid on back. 4"H. Circa 1760. 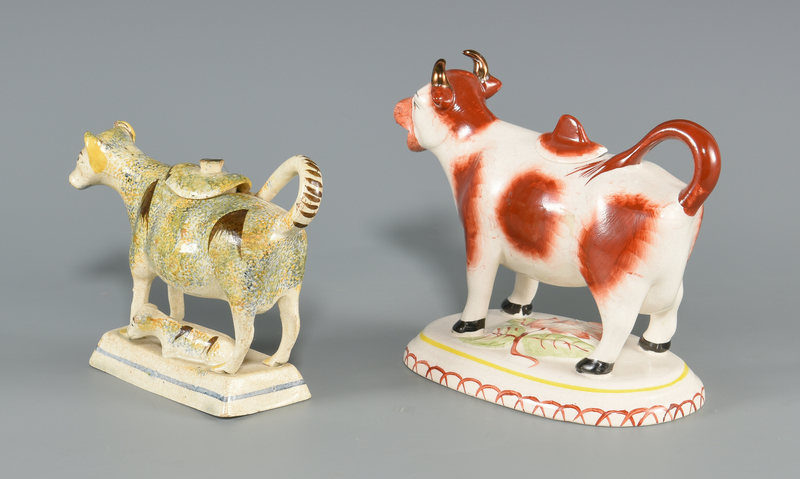 2nd item: 20th century Staffordshire pottery cream pitcher, modeled as a cow standing on an oval base decorated with a red flower. 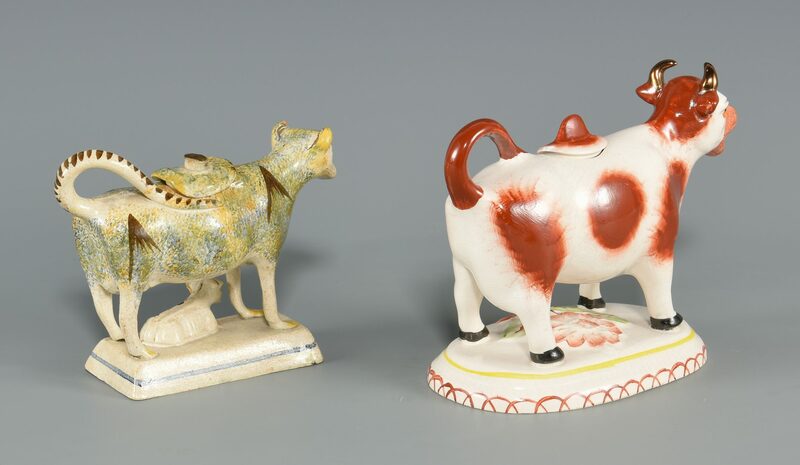 Lustreware horns; curled brown tail forms the handle. Fitted lid on back. Underside of base marked Staffordshire Ware Kent / Made in England. 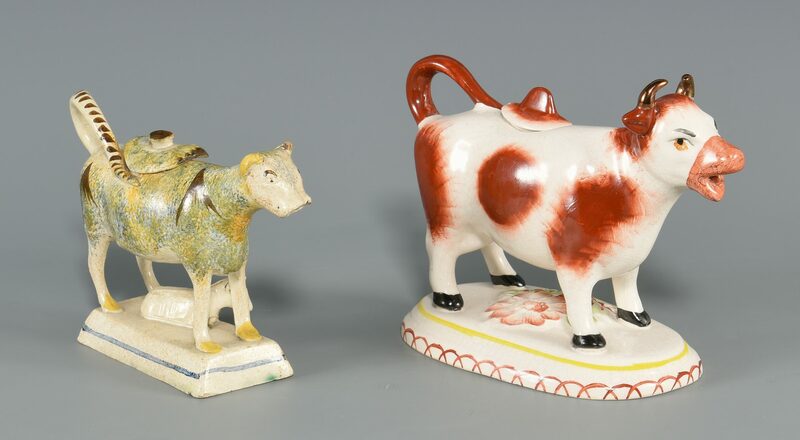 5"H. CONDITION: 1st item: chips to ears on both cows, overall crazing. 2nd item: Both horns broken and reglued, overall crazing.